Up until last year, the Hamilton Conservation Authority (HCA) was able to maintain a friendly and accessible character to Dundas Valley Conservation Area (DVCA) trails. They looked natural; they were easy to walk, run and bike on, even to push a baby stroller or a wheelchair. The water damage, frequently caused by rain and melting snow, was repaired in a timely manner, garbage was promptly removed, the area was clean and user friendly. 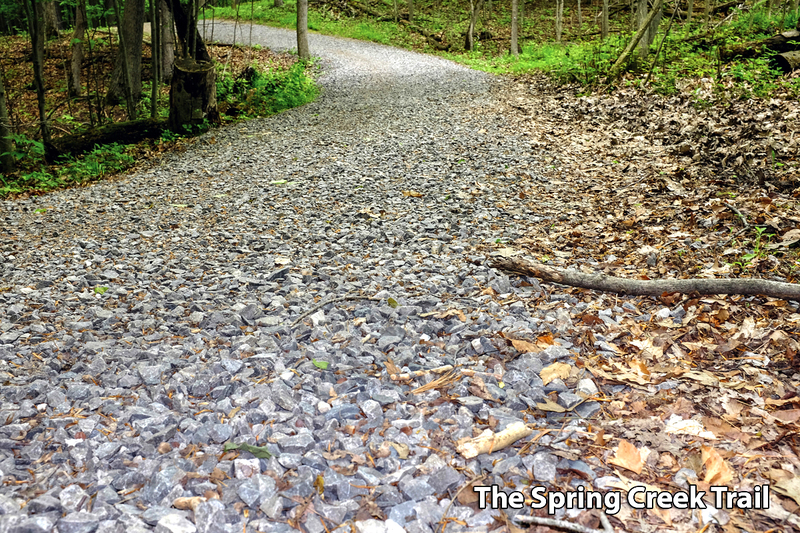 Since last fall, the HCA has been implementing a new idea — our beautiful and natural-looking trails are now being covered with large, coarse gravel and crushed rock, often the size of table tennis balls. The trails are beginning to look like rough farm lanes and the rare Carolinian forest like a construction site. The new surface is difficult to walk or run on, dangerous to bike on and impossible to access with a baby stroller or a wheelchair. It destroys shoes and bike tires. It hurts the legs of dogs and other animals. It makes it impossible to remove the ever-increasing amount of horse manure. It looks plain ugly and creates a safety hazard. A better solution is badly needed. It could be a layer of fine gravel or sand on top of the sharp and rolling rocks or a removal of the new surface and restoration of its natural state. For years, it was possible to maintain natural and accessible trails. Why is it not being done now? Just two days ago, I took a ride along the Main Loop, the Monarch, and the Spring Creek trails. I met about twenty bikers and asked them, “How do you like this new trail surface?” They all said that they hated it. An accomplished MTB-er had the entire side of his right leg scratched and bleeding. He said, the sharp rocks rolled and he wiped out. He broke his derailleur and scratched his expensive bike. Several joggers indicated that it was now impossible to run safely and comfortably on trails they had been using for years. I found it difficult to pedal and to maintain a straight course, to turn, to brake while riding downhill, and to climb on the thick layer of rolling stones. One bicycle business owner suggested that the HCA is deliberately limiting biking in the DVCA. Another shared a story about the battle he had fought years ago, when the HCA planned to cover the trails with limestone gravel, which was highly alkaline. Water dissolves calcium carbonate these rocks are made of. As a result, the chemical composition and acidity (pH) of soil, nearby creeks and ponds change, affecting the ecosystem and killing many native life forms. Somebody else believed this was an attempt to restrict public access to the area, in general. I would not be surprised, if this was the case. In April 2012, during a meeting with Bruce Mackenzie (HCA), I was told that local residents were asking the HCA to restrict public access to the area. Wouldn’t it be nice to have it all just for themselves, what they own and what they don’t own, as well? While the public finds it more difficult to walk, run, and bike along the trails, local equestrians’ traffic has significantly increased since Chris Firth-Eagland became the HCA’s CAO. And with it, the amount of horse manure on our “conservation” area trails. It seems that the public has no say in how the Dundas Valley Conservation Area is being managed. There is no public accountability on the part of the Hamilton Conservation Authority. In the meantime, joint stewardship agreements are being signed by the Hamilton Conservation Authority and the City of Hamilton with the Haudenosaunee who do not even live in this area and do not pay our local taxes. The HCA Vision Statement reads, “Hamilton Conservation Authority will work to ensure healthy streams and healthy communities in which human needs are met in balance with the needs of the natural environment, now and in the future.” Only a few years ago, the HCA brochures proudly presented its mission as preservation of our natural land for the public and for future generations. It seems that these declarations have recently been replaced with arrogant corporate mentality and private farm management style. The number of DVCA entrance points continues to shrink and street parking near these points is increasingly prohibited. Initially, “preservation for the public” allowed the HCA and its predecessors to receive public funds, grants and preferential purchases of land that became the Dundas Valley Conservation Area. I suggest that all public funds – (the City of Hamilton, Ministry of Natural Resources, and other), be immediately frozen and withdrawn, until the original mission and purpose of the Dundas Valley Conservation Area and the Hamilton Conservation Authority are fully restored and respected. This entry was posted in Dundas Valley Conservation Area, Hamilton Conservation Authority. Bookmark the permalink.